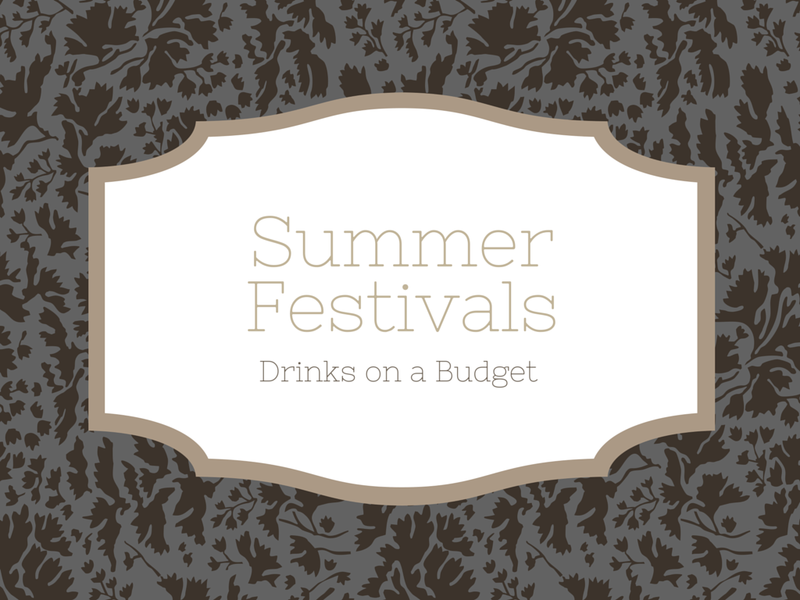 As part of this festival series, I really wanted to be able to offer some tips on how to save some money as the tickets themselves are often quite expensive and I think most of us have been stung by the inflated food and drinks prices on site. This post is going to be focusing particularly on the drinks side. My best advice for saving on drinks at festivals really is to simply take your own. Obvious right, but it's not something everyone does and possibly more should consider. Now this will be a lot easier for those of you driving down to the venue as it saves you carrying too much, for those that aren't driving though I'd definitely consider checking out what nearby supermarkets there are because you can stock up and take them back onsite that way. One thing to bare in mind though is checking the rules of the particular festival, some say that glass bottles need to be emptied into plastic ones so for example you could reuse a big cola bottle and some also have limits to how much you can take so check those out and then you are good to go! Below I have included some ideas for really affordable alcoholic drink options, a selection were sent to me from Aldi to try out and when I checked the prices I was just really impressed and thought they'd be perfect to demonstrate my point so here they are! First up is the Steinhauser German Lager*, this comes in at £3.99 for a pack of 6 330ml bottles and has fantastic reviews on the Aldi website. Customers have rated it 4.8 out of 5 and I thought it was really nice, light and satisfying. Next are the Alska fruit ciders which are £1.49 each for 500ml bottles and come in pear & lychee, peach & raspberry and nordic berries. They are so fruity and I absolutely loved all 3 flavours, they are definitely something I would drink of a summer afternoon while sat in the garden with a book. Lastly we have the Orchard ciders which come in premium pear or apple cider and are 85p per 568ml bottle and I would say they taste very similar to the more expensive equivalents at just a fraction of the price. These are just a few top picks but there are loads more varieties which you can check out here, and also you can use the nifty store locator to see where the nearest Aldi is to your home or festival you are travelling to. I hope you enjoyed this post and it gives you some ideas. Thanks for reading and have fun at the festival!